Homage to Stanley Kubrick’s masterpiece 2001: A Space Odyssey that was released fifty years ago in 1968. 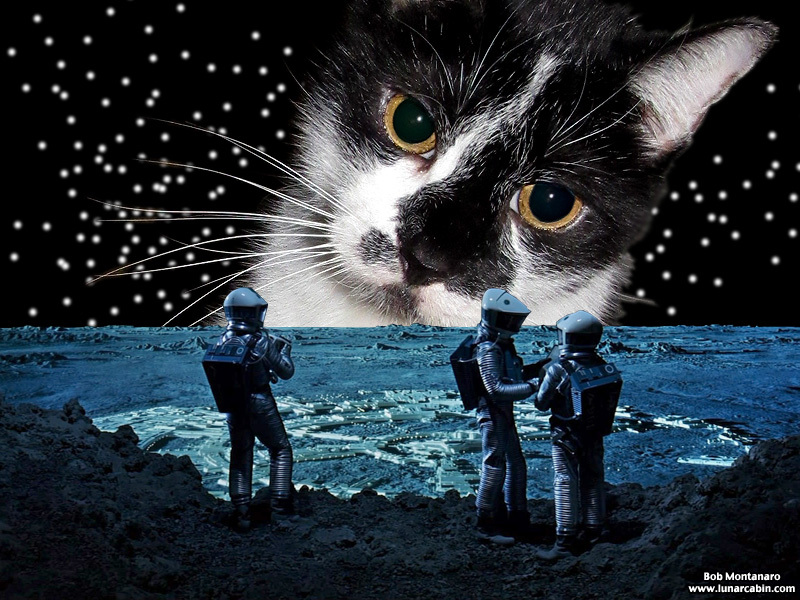 Black & White Kitty, like the proverbial Star Child from the film, rises ominously, or hopefully if you wish, above the Clavius Moon Base. The reasoning here must be as enigmatic as the actual film.